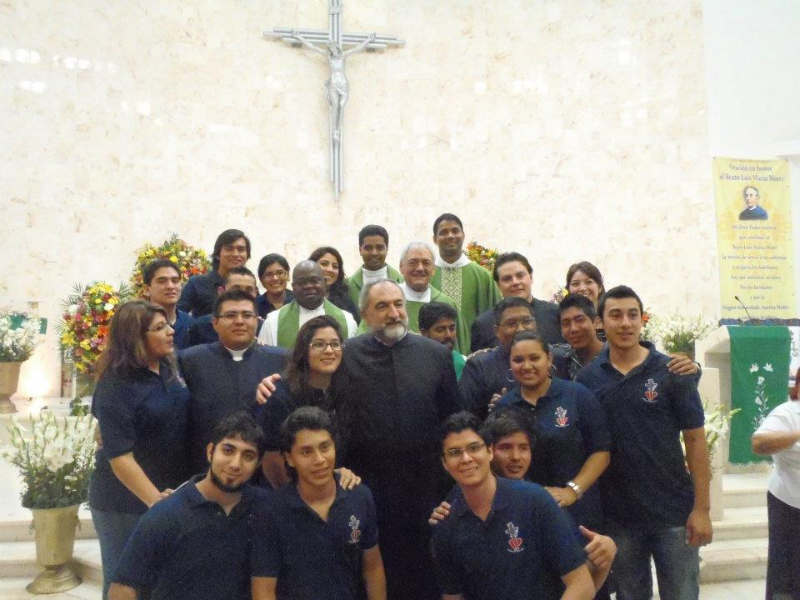 On February 19th , 2012 the CFIC family heartily welcomed its first two members from Mexico. Bro. Cesar Ivan Naal Hernandez and Bro. 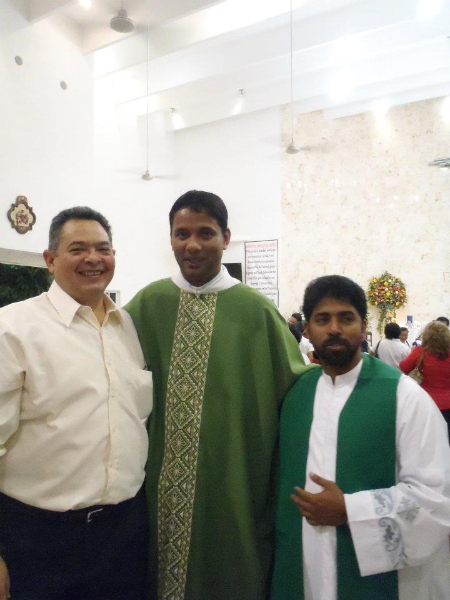 Jose Luis Guzman Diaz, after completing their basic formation and one year of novitiate, made their First Profession of the Evangelical Counsels, Poverty, Chastity and Obedience. 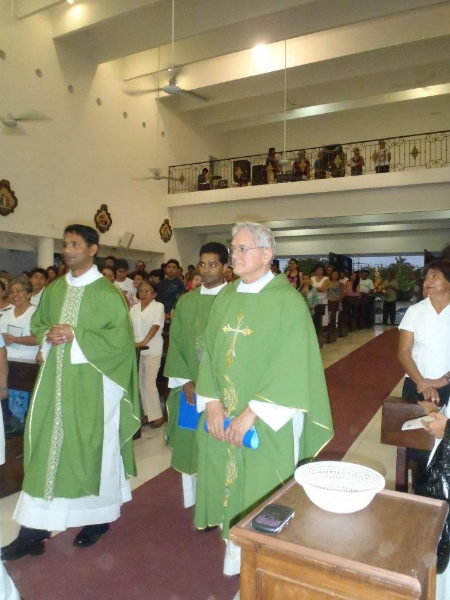 The occasion was further solemnized by the gracious presence of Very Rev. Bro. Ruggero Valentini, the Superior General of CFIC, Rev. Fr. Ugo Sturabotti, the North American Delegate Superior, Frs. Benny Mekkatt and Shibu Kallarackal, the Delegation council members. The Superior General, Bro. 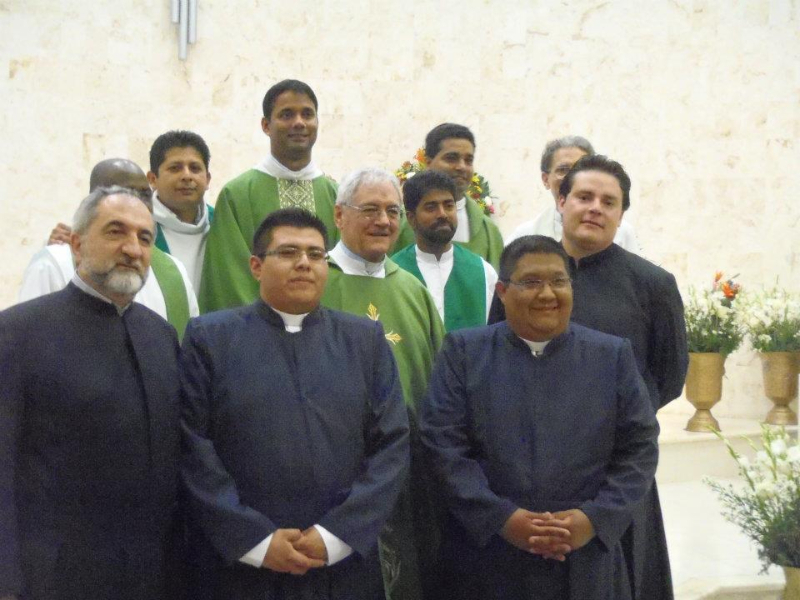 Ruggero Valentini welcomed them in to the CFIC family by accepting their profession of Vows in to his hands. Their Novice Master Bro. Raul from Argentina, Frs. Roy Neeruvelil and Egide Misasi, the community members from Merida, the newly professed brothers’ parents, siblings and several other family members were present. Many parishioners and well wishers too joined for the beautiful ceremony. CONGRATULATIONS AND HEARTY WELCOME BROS. CESAR & JOSE LUIS. FELICITACIONES Y BIENVENIDOS A FAMILYA HERMANOS CESAR Y JOSE LUIS.